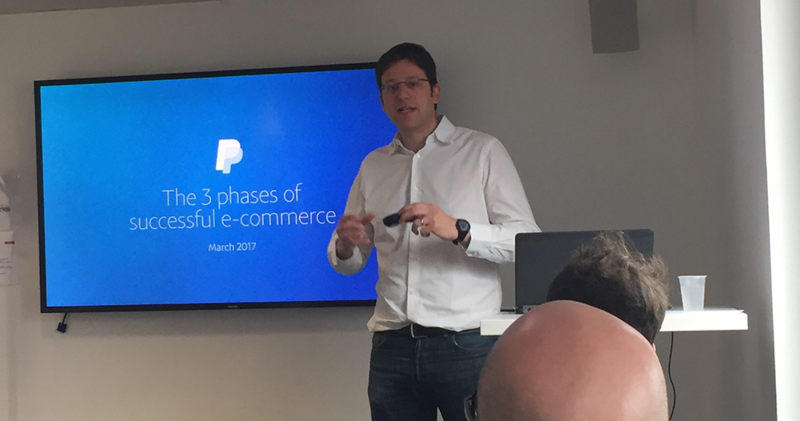 The Partech Shaker hosted Francis Barel, Head of Market Growth at PayPal, for an Entrepreneurs’ Talk session on the key factors of success in the e-commerce industry: Attract, Convert, Retain. This first session of a 3 part series focused on “Attract”, while future events will be held covering the Convert and Retain steps in detail . Francis Barel opened his speech with emblematic examples of disruptive innovations that didn’t attract attention at the time but went on to revolutionize the world. One key example was Ford who ended the great manure crisis in large cities such as Seattle, London and New York, by inventing the car. Back in 1884 when horse-drawn carriages were the only means of transport, large amounts of manure as well as dead horses and flies were left lying in the streets. Journalists had predicted that urban civilization would be doomed within 20 years. When Henry Ford invented the motor car in 1912, no one had yet realized that this revolutionary invention would solve the problem and change the world. Another select example is Rockefeller whose kerosene invention in the 19th century ultimately saved the whales from being over-hunted to make candles. Francis successfully illustrated through these examples that when you launch a startup true innovation is found by not limiting yourself to a “me-too” idea. • Attract: how do you attract more customers and leads? How can you leverage the different channels available to maximize marketing investment? How do you drive customers to find your products? • Convert: How do you turn a prospect into a customer? How do you ensure a seamless buying experience? • Retain: how do you transform a one-time customer into a lifetime one? How do you build customer loyalty? The 3 steps constitute a virtuous circle as it is cheaper to retain an existing customer than to attract a new one. Who knows your products and services better than your own customers? Loyal customers are your best bet to attract new clients! How to attract more customers and leads? • Dyson who launched a new generation of highly powerful and silent fans by removing their key strength: the blades. • Netflix, whose amazing success was built on its capacity to entirely reinvent the existing DVD rental business model and who then competed against the biggest players with the introduction of streaming. • PayPal, the biggest online payment system in the world, who although their initial business model was built on Palm Pilot, realized that they had to extend their offer to the web. • Uber who completely revolutionized their market by removing the payment dimension from the user experience by developing a very easy-to-use app with just one call to action: “Order a cab”. Brand names are also a very important feature: some brands such as IBM or BMW managed to become hugely successful while they were only initials; others like Ford created a very powerful brand around a family name with no link to their value proposition. Google is a misspelling for the math term “googol” referring to a very large number. Nobody remembers where a brand comes from, but you should always integrate an international dimension. When you make marketing investments, it is important to measure three KPIs: Traffic and conversion, Chanel specific KPI and Financial KPIS. You should be able to measure where and why your client ends their customer experience. - Maximize your homepage: put your key iconic products directly on your home page. If you advertise a product, use it as an appeal product, see how many people put it in their basket and then cross-sell it. - Choose your brand name carefully: a brand built on a common noun or a sentence might actually refer to something totally different when you google it. People can then outbid you. - Facebook or Google: use both channels for different purposes: Google to reach out to people who don’t know your brand but know what they are looking for and Facebook as a discovery concept with passive users. - Other marketing sources for BtoB brands: Consultancy firms can be a good source of free advertising for your brand, as well as trade publications and events linked to your activity, which are good opportunities to meet your clients or see your competitors, even if you don’t have a stand. - Presence on Marketplaces: marketplaces have become well-established shopping destinations for almost all products and services, so make sure that your products are listed on one, or several. International buyers are a key audience as they tend to spend twice as much as French customers. To attract them, you should deliver your products at least throughout Europe, have an English version of your website and optimize international delivery costs by offering additional products for paid shipping. Payment solutions should be localized with PayPal for most of your markets and Alipay for the Chinese market. It is worth noting that German customers are those who buy the most abroad: they purchase physical goods in Germany but online goods from international websites. Do not underestimate social media, which are marketing channels just like any others.